"Swapnalok" L. Jagmohandas Road, Mumbai 400 026. Fees : Approx Rs. 3600 /- (This amount changes daily based on exchange rate) Single Entry Visit & Business visa. In case of any visit, please specify the exact travelling dates & places to vist in Iran. 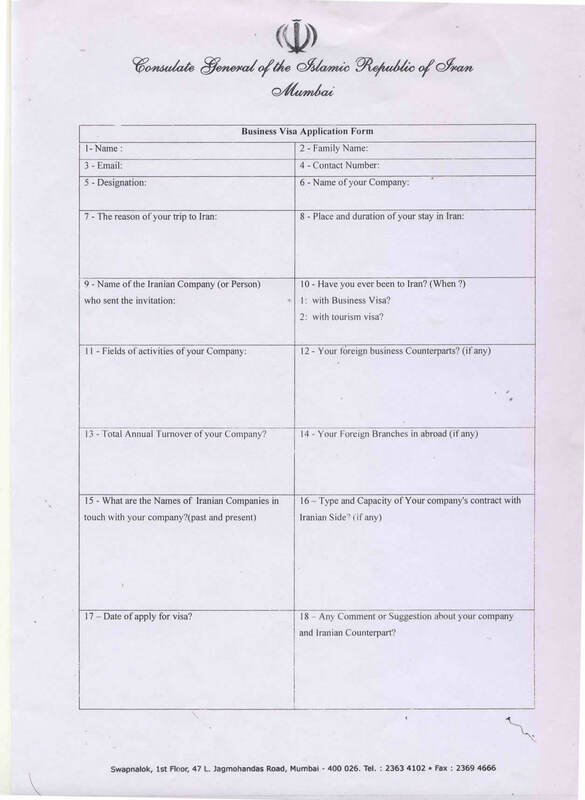 Also mention the detailed address and telephone number in India, of the pax with STD codes on the covering letter.